This is a jointly-authored post from Hilary Evans of ARUK, and Javier Diez-Aguirre from our partners Ricoh Europe. Alzheimer’s Research UK and Ricoh have teamed up on an innovative partnership to support research and awareness-raising for dementia. With both the charity and the company focused on innovation, technology and discovery, it’s a partnership that brings out the strengths of each of us. At the heart of the partnership are two important initiatives. You may have arrived at this blog after watching our awareness campaign film Dementia Uncovered, which we were hugely excited to have narrated and presented by actor and producer Simon Pegg. It’s been a fascinating project to develop over the past few months, but it started with the question of how we could use Ricoh’s technology to help communicate an important message around dementia. 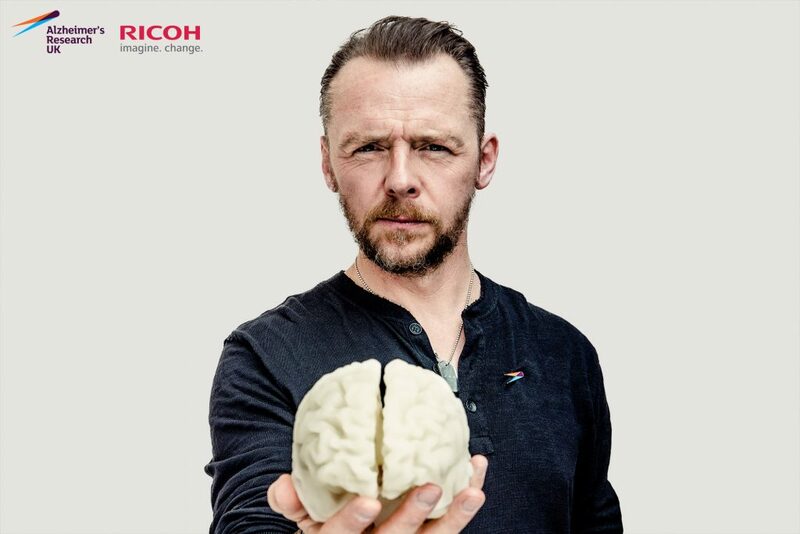 Thanks to Ricoh’s technological capabilities, we decided to use 3D printing to show the brain of someone affected by Alzheimer’s – the most common cause of dementia – and a healthy brain of someone of the same age, for comparison. Alzheimer’s Research UK’s award-winning #ShareTheOrange campaign had previously emphasised the physical impact of the disease, with the loss of cells in the brain weighing around 140g – the weight of an orange. But for this film, we’re now showing the brain itself, albeit recreated in Ricoh’s printer. The film makes the difference clear. The impact of the disease is profound and, as Simon Pegg says in his narration, “it’s little wonder it takes so much from us”. But while being confronted with the physical impact can be arresting, it does remind us that Alzheimer’s, and the other diseases behind dementia, are physical processes that research can strive to slow, or to stop. So Dementia Uncovered looks to a future where research will begin to achieve those aims and bring hope to the millions affected. This is a trajectory we firmly believe we are on, and Ricoh’s support of Alzheimer’s Research UK will help hasten advances. What can you do today to be part of this? You can share the film with a single click and this will help, but if your family has felt the impact of dementia, you might also like to try the Printed Memories digital postcard tool, the second major part of this partnership. This website allows you to upload a photo – a digital memory – and create a postcard that Ricoh will then send on to your recipient wherever they are based around Europe in exchange for a £1 donation to the charity. It’s a simple way to connect to someone with dementia, their carer or family in a way that’s personal and important to you. And, of course, your donation will help power Alzheimer’s Research UK’s pioneering research into all forms of dementia, and the improved diagnosis, prevention and treatment that we so desperately need. Hilary is Chief Executive of Alzheimer’s Research UK, which is a charity working at a global level towards a world where people are free from the fear, harm and heartbreak of dementia. The organisation’s aim is to raise awareness of the diseases that cause dementia, to increase dementia research funding and improve the environment for dementia scientists in the UK and internationally. Alzheimer’s Research UK is at the forefront of challenging people’s perceptions of dementia, finding innovative ways of communicating and creating new platforms to engage the public in a united fight to defeat dementia. Hilary joined Alzheimer’s Research UK in 2013 to drive forward the organisation’s profile and influence, working closely with the G8 and the World Dementia Council as part of a global commitment to find treatments by 2025. As part of this program, Hilary is pioneering new ways of supporting research, including setting up the Dementia Drug Discovery Institutes, the Global Clinical Trials Fund and the Global Dementia Discovery Fund. 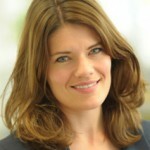 Hilary has a strong background in the charity sector, having previously worked for Age UK and Age Concern. Hilary has also worked in policy roles in corporate affairs. Dementia is a major disease which affects millions of seniors in the later stages of their lives. I hope latest research can be helpful to seniors who are diagnosed with dementia or other related diseases. Finding a cure for dementia might be difficult, but to reduce the negative effects of it can be beneficial to some extent.